Our session last night was a huge success! SI’s own Luke Winn even dropped by! Quincy Miller and Team USA dominated Argentina from start to finish, earning a spot in the seminfinals and a matchup with Canada. You can take in a live feed of the game here. Will Miller turn in another dominant performance? Or will the lethal back court combo of Kyrie Irving and Austin Rivers steal the show? We’ll be going live tonight at 8:00pm EST, 7:00 C. All are welcome! UPDATE: The U.S. is in action again tonight against Mexico, a team that was blown out by the Argentines the other day. The stream will likely start closer to 9 P.M. EST. The hyperlink below still works. Quick hitter here, everyone. The United States Under 18 National Team is competing in the 2010 FIBA Americas Championships for the next several days, and our first official game is tonight, 8 p.m. ET, versus the Virgin Islands. Thankfully, Americans depressed over today’s soccer loss against Ghana can revel in what should be a dominant performance by the good guys. FibaAmericas.com is broadcasting tonight’s games from their website. Click the video under “Top Stories” to watch streaming action. You can even go fullscreen! Wow, technology. 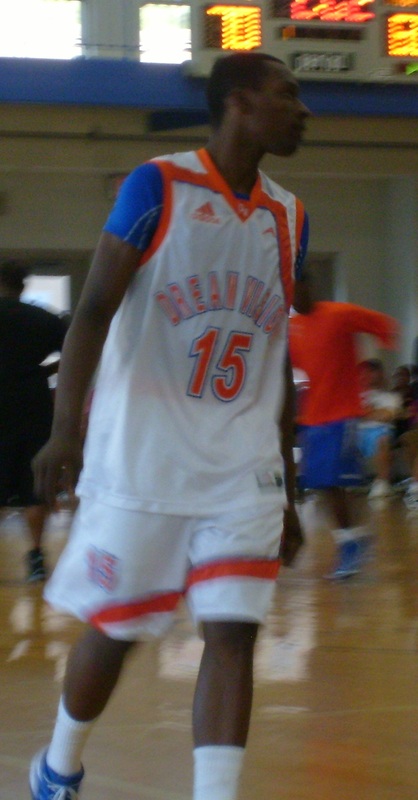 2010 commitments Kyrie Irving and Josh Hairston are on the roster, as well as 2011 top prospects Austin Rivers, Quincy Miller, and Amir Williams. This is a great opportunity to see what Irving and Hairston can bring to the table next year—and what 2011’s recruiting haul may look like. C-T will be covering the action via our twitter. If you enjoyed our live tweets of the NBA Draft the other night, check it out for more humorous and serious coverage while watching the game. It sure seems like Coach K is doing his best impression of Kevin Garnett and preparing for war. Last week, his squad beat the living daylights out of “rival” North Carolina in Cameron. 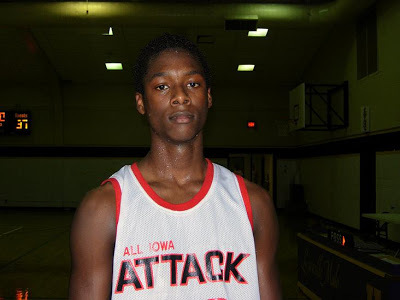 On Thursday night, victory came in the form of a verbal commitment from Michael Gbinije, a five star small forward prospect in the Class of 2011. Among the other schools in consideration for the 14th ranked overall prospect and 4th ranked SF (from Scout.com) were North Carolina, Syracuse, Villanova, Virginia, and Wake Forest. 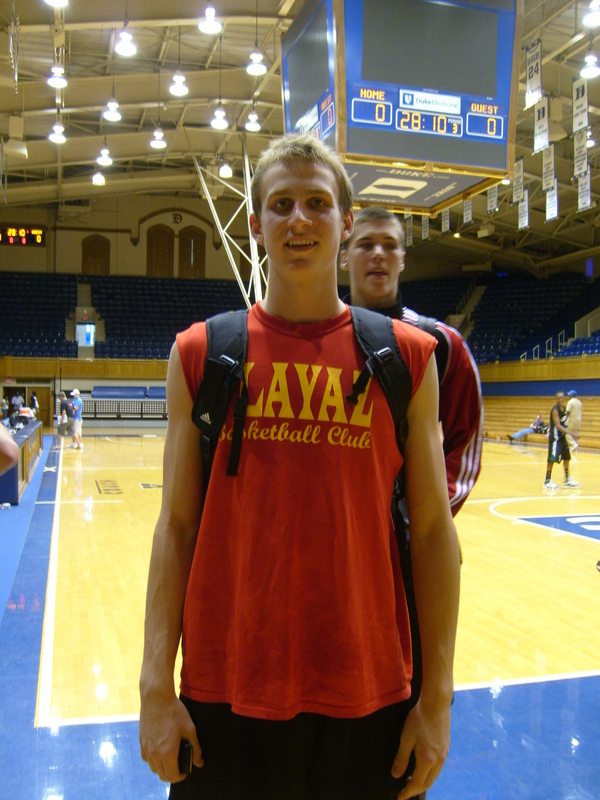 Gbinije is Duke’s best wing prospect since Kyle Singler pledged his allegiance to Pantone 287 back in 2006. He is the elite wing that Coach K and the staff have been looking to acquire ever since Prince Harry gesticulated his way to North Carolina. Armed with a polished offensive game, a pretty jumper, a penchant for getting into the lane, and an awesome last name to boot, Gbinije could very well be a prime time player at Duke. Gbinije’s commitment came just days after he visited campus and attended the Carolina game in Cameron. He was also in Durham when the Devils played Maryland at home, which happened to be Coach K’s 1000th game and 63rd birthday. The raucous environment at both of those occasions may have been enough to get Gbinije to pull the trigger in favor of the Devils. As a native of Richmond, VA, Gbinije joins commits Tyler Thornton and Josh Hairston as well as current players Andre Dawkins and Nolan Smith as Blue Devils from the D.C, Maryland, and Virginia area. This region has produced a plethora of talent in recent years, from Kevin Durant and Michael Beasley to Duke’s very own “Nasty” Nate James. So it’s not surprising in the least that Coach James, who has been on everywhere on the recruiting trail, landed his first official prospect in Gbinije. It’s been a while since we’ve been able celebrate a commit, but we’ve got a feeling a few more are on the way. 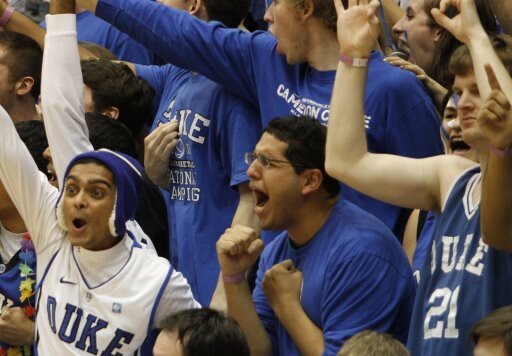 Stay with us as this month looks to be an exciting one for Duke basketball. Here’s to the Devils romping through the ACC Tournament and making this March one to remember. You can check out some of Gbinije’s highlights from last July at the Nike Peach Jam below.